George Soros' investment business, Soros Fund Management is set to invest in cryptocurrencies, according to Bloomberg. Adam Fisher, who oversees global macroeconomic investing for the fund, has gained internal approval to invest in and trade cryptocurrencies. George Soros himself described cryptocurrencies as a "typical bubble," back in January. The investment fund founded by billionaire George Soros is preparing to dive into cryptocurrency trading, even though Soros himself previously described them as a "bubble," according to reports. Adam Fisher, who oversees global macroeconomic investing for Soros Fund Management, has gained internal approval to invest in and trade cryptocurrencies, according to Bloomberg, which said he hadn't yet made any bets on the digital coins. The move comes despite Soros' apparent distaste for cryptocurrencies as an investment. Earlier this year, at the annual World Economic Forum in Davos, Switzerland, Soros called cryptocurrencies a "typical bubble which is always based on some kind of misunderstanding." Investor/philanthropist George Soros gives an address on "The Crisis of Global Capitalism: Open Society Endangered" October 5 at the Omni Shoram Hotel in Washington. Soros said he expected top industrial nations to agree on coordinated rate cuts, but cautioned that this alone was not enough to stem the world financial crisis. He added: "Bitcoin is not a currency. A currency is supposed to be a stable store of value. And a currency that can fluctuate twenty five percent in a day can’t be used, for instance, to pay wages because wages could drop twenty five percent in a day. So, it’s a speculation based on a misunderstanding." 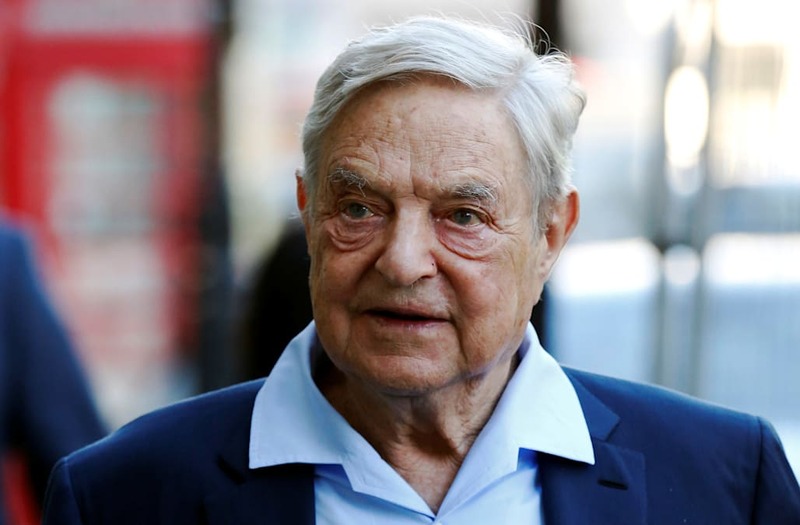 Soros is no longer involved in the day-to-day management of Soros Fund Management, so is unlikely to have been directly involved in the firm's decision to trade crypto. The fund, which started in 1969, is perhaps most famous for its massive bets against the British pound just before the Black Wednesday crisis in 1992 — when the UK dropped out of the European Exchange Rate Mechanism. The bets, which helped crash the currency, earned Soros the nickname "The Man Who Broke the Bank of England." Soros Fund Management is currently in charge of about $26 billion of assets. A spokesman for the fund declined to comment to Bloomberg.